REIT Vornado Realty Trust expects to be starting work on the first phase of renovation at Pennsylvania Plaza before the end of this year according to CEO Steve Roth, The Real Deal reports. The $200 million “megacampus” redevelopment project plan for the 2.5 million-square-foot building at One Penn Plaza–including a double-height lobby–is expected to be completed in two years. 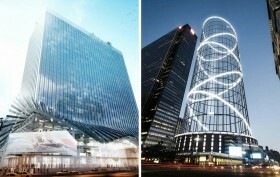 In 2016 Vornado released renderings for Two Penn Plaza by starchitect Bjarke Ingels. 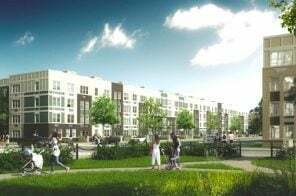 New renderings were released Wednesday on the company’s website. 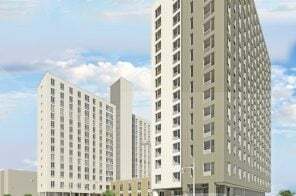 A new rendering of the office tower proposed as a Hotel Pennsylvania replacement was presented to investors this week, the New York Post reported Wednesday. Vornado Realty Trust, the owners of the century-old hotel at 15 Penn Plaza, showed off a revised design for the supertall and it looks like the tower will feature a futuristic facade, with outdoor terrace-like space on nearly every level and lots of trees and plants. 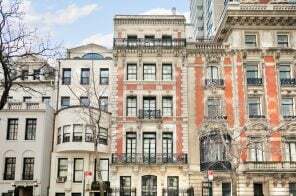 The site, currently home to the hotel, sits across from Madison Square Garden on the east side of Seventh Avenue between West 32nd and 33rd Streets. Instead of razing and redeveloping its 2 Penn Plaza office tower, Vornado Realty Trust said on Tuesday it will simply renovate the building. 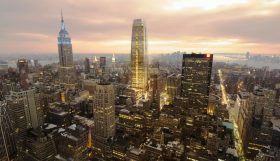 As Commercial Observer reported, the company’s CEO, Steven Roth, said earlier plans of demolishing the 31-story tower and grabbing 5 million square feet of development rights from Madison Square Garden to build a bigger tower, would not be feasible. Moving forward with option B, Vornado will likely stick with designs from Bjarke Ingels Group. 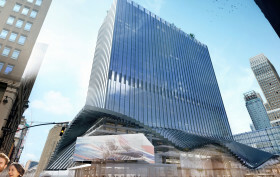 More than two years ago, BIG revealed renderings that showed a wave-like canopy of glass panels that would envelope 2 Penn Plaza above the retail entrances on the ground floor. Plans to replace the century-old Hotel Pennsylvania with a 1,216-foot office building have surfaced again. Financial firms Morgan Stanley and Deutsche Bank are reportedly contemplating a move to Vornado Realty Trust’s planned supertall skyscraper, 15 Penn Plaza, according to the Post. Vornado first won the city’s approval in 2007 to build a supertall at the location of Hotel Pennsylvania on Seventh Avenue and nearly signed a deal with Merrill Lynch to be a tenant until the financial crisis dissolved the agreement. 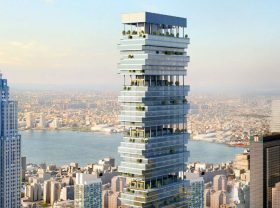 This design, by Pelli Clarke Pelli, is being presented to the firms along with new options says a source. 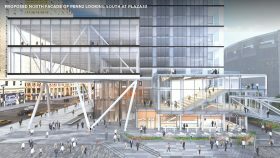 While Governor Cuomo is busy trying to make his plans for $3 billion in renovations at Penn Station a reality, developers are hot to come up with a new design for 2 Penn Plaza, the tower directly above the station and Madison Square Garden. 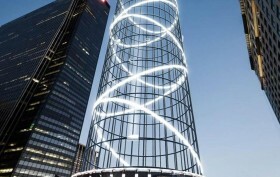 Vornado Realty Trust, who owns roughly nine million square feet around Penn Station including 2 Penn Plaza, released renderings in March for a glassy, wave-like tower by starchitect of the moment Bjarke Ingels. 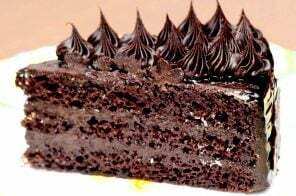 The concept is quite a departure from the current, stale state of the site, but yesterday an even more futuristic idea came to the table. Brooklyn Capital Partners tapped AE Superlab to create a plan for the world’s tallest free-fall tower ride above the station. “Halo,” as it would be called, would rise 1,200 feet from the roof, have 11 cars, and move as quickly as 100 miles per hour, giving it a top-to-base free fall of about six seconds. BIG’s design wouldn’t change much in the way of 2 Penn Plaza’s current configuration, but it would create more retail space at the base. Halo, though it would cost $637 million to build, claims it would bring in up to $38 million a year for the state. 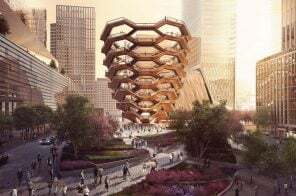 Since Brooklyn Capital is contending with Vornado Realty Trust and Related Companies to upgrade the space, we want to know which of these ideas you think is a better fit. Another day, another reveal from Danish wunderkind Bjarke Ingels. 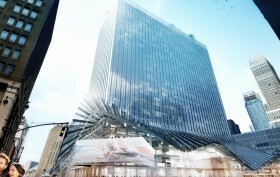 This time the starchitect has taken on a project at much-loathed Penn Station, transforming 2 Penn Plaza (the tower directly above the station and Madison Square Garden) from a nondescript, monolithic slab to a shiny, playful tower. The renderings, first spotted by NY Yimby, show a somewhat typical glass mass, but the fun begins above the ground levels, where a wave-like canopy of glass panels ushers people in to a new retail base.